BEAVEN, ROBERT, businessman and premier of British Columbia; b. 28 Jan. 1836 in the parish of Leigh, Staffordshire, England, son of the Reverend James Beaven* and Elizabeth Speed Frowd; m. 5 May 1866 Susan Sibbald Ritchie in Georgina Township, Upper Canada, and they had two sons and a daughter; d. 18 Sept. 1920 in Victoria. Robert Beaven came to Upper Canada with his family in 1843, when his father accepted an academic appointment in Toronto. He graduated from Upper Canada College, and went to British Columbia during the Cariboo gold-rush of the 1860s. After his marriage, he and his wife settled in Victoria on Vancouver Island, which had just been amalgamated with the mainland colony of British Columbia. The capital of the united colony after 1868, Victoria was its largest commercial centre. In addition to acquiring real estate and insurance interests, Beaven was a commission agent, the local agent of the Florence Sewing Machine Company, and, with a partner, a retail clothier and outfitter. Beaven’s rise to prominence was part of a political struggle over the future of British Columbia. The amalgamation of 1866 had not solved the financial problems which had prompted it, and the colony faced an imperial government increasingly unprepared to subsidize its overseas possessions. In May 1868, under the leadership of Amor De Cosmos* and John Robson*, those in favour of uniting with the Dominion of Canada – mainly born or brought up in the British North American colonies to the east – formed the Confederation League; its parallel goal was to bring democratic government to British Columbia, where there was no elected assembly and where politics and administration were largely in the control of a British-born élite appointed by the governor. As the league’s first secretary, Beaven summoned the Yale Convention, which in September adopted a program for the upcoming “selection” of the “popular” members in the Legislative Council. The league suffered a major set-back when De Cosmos was defeated in Victoria, and the Legislative Council resolved that confederation should not be pursued. But pressure from the British government exerted through Governor Anthony Musgrave*, coupled with extremely favourable terms from Ottawa (including a transcontinental railway and a graving dock), eventually turned the tide. British Columbia’s union with Canada on 20 July 1871 brought with it an elected assembly of 25 members. Beaven was returned for one of Victoria City’s four seats in October. The following month, much to the dissatisfaction of De Cosmos and Robson, Lieutenant Governor Joseph William Trutch* chose John Foster McCreight as premier. It was not long, however, before the confederationists put aside their disagreements about instituting the Canadian tariff (which Beaven supported) and won a vote of no-confidence. McCreight resigned on 23 Dec. 1872. De Cosmos became premier, and Beaven was made chief commissioner of lands and works. The De Cosmos administration, and the subsequent administrations of George Anthony Walkem* and Beaven himself, represents the triumph of those who had fought for union with Canada and responsible government. For them it was also an article of faith that exploitation of the province’s resources was essential. Because British Columbia, unlike Manitoba and the North-West Territories, retained control over its land and other resources, the lands and works portfolio was a most important position. As was to be the case throughout his career, Beaven’s performance was controversial. The opposition accused him of corruption and incompetence in such matters as tenders and pre-emptions. These charges, even when investigated by a royal commission – as they were in the Texada scandal of 1874 [see De Cosmos] – were never proved. And although Beaven pressed ahead with land surveys, he was criticized for not opening up land for settlement quickly enough. Paradoxically, he and Walkem (who became premier in February 1874) were also taken to task for mishandling the province’s Indian policy, which required more land to be set aside for natives, not less. Indian reserve commissioner Gilbert Malcolm Sproat described Beaven privately as “a narrow, stubborn man” intent on reducing the size of Indian reserves. Indeed, both Beaven and Walkem were accused of attempting to interfere with the publication of government documents dealing with the Indian land question that the legislature requested in 1875. When the government faced the electorate that fall it lost its majority, but the Executive Council carried on until the legislature met. Beaven therefore remained at his post until 27 Jan. 1876, two days after the government’s defeat in the house. An active member of the opposition during the interregnum administration of Andrew Charles Elliott*, he was re-elected in May 1878, along with a majority of Walkem supporters. During Walkem’s absences in Ottawa and London in 1874–75 to deal with the question of the long-delayed transcontinental railway, Beaven had likely been pretty much the man in charge. So in the second Walkem ministry he not only stayed in the cabinet but on 26 June 1878 was given another critical post, finance and agriculture. He also had the honour, if honour it was, of seconding the motion moved by Walkem in August to the effect that British Columbia had the right to withdraw from confederation. Designed to underline the province’s frustration over the railway, it passed 14 to 9. It was in difficult circumstances that Beaven took over the finance portfolio. The federal subsidies received since 1871 by the province had not been sufficient for the development programs contemplated, especially since British Columbia’s financial record made borrowing nearly impossible. Provincial governments had had to fund public works out of current revenues. This situation was compounded by fluctuations in the main source of revenue – cash from crown lands used for mining, forestry, and settlement. Successive administrations had been forced to tax undeveloped land, income, personal property, and unworked crown-granted mineral claims. 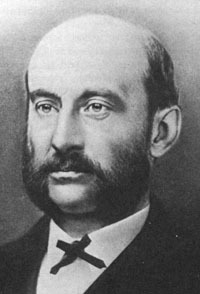 Beaven as finance minister added a poll tax in 1881, but he did not significantly improve the situation. He had attracted criticism for his role in running up provincial debt while at lands and works, and he now bore a great deal of responsibility for the escalating cost of such projects as the Esquimalt graving dock. This undertaking in particular was resented on the mainland, which had long chafed at the dominance of Vancouver Island; at the same time the federal government’s choice of Burrard Inlet as the terminus of the Pacific railway was causing great dissatisfaction on the island, where voters continued to demand a railway that would be part of the transcontinental line. 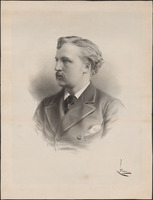 After four difficult years Beaven succeeded Walkem as premier and president of the council on 13 June 1882. He retained his portfolio and reassumed responsibility for lands and works. Walkem had left office just after the contractors stopped work on the graving dock. Beaven therefore took it over and had it carried on by day labour until the financial problems could be sorted out. In the election that followed in July, he was successful himself but the administration was defeated. He decided to continue governing nevertheless. One happy result was that he was able to host the three-month visit to British Columbia of the governor general, the Marquess of Lorne [Campbell], and his wife, Princess Louise* – and to ask the princess if she would be interested in becoming the queen of an independent Vancouver Island! After their departure in December 1882, Beaven faced the house and, despite his minority position, proceeded to present his legislative program. The farce ended when William Smithe* moved a confidence vote: the government was defeated 16 to 8 and Beaven resigned on 29 Jan. 1883. During the next 11 years as leader of the opposition to the administration of Smithe and his successors – Alexander Edmund Batson Davie*, John Robson, and Theodore Davie* – Beaven saw resolved many of the issues that had taken so much of his time, not always to his satisfaction. The graving dock was turned over to the federal government to complete but the federal Settlement Act of 1884 transformed the proposed island railway into a separate company unconnected with the transcontinental line. Beaven opposed the grant of huge tracts to this company, owned by coal baron and mla Robert Dunsmuir* and his American partners, calling it a “semi-foreign corporation.” In subsequent years he was often to clash with Dunsmuir in the house. If provincial politics was souring for Beaven, an alternative presented itself. The boom that followed completion of the transcontinental and island railways in the mid 1880s, and the introduction of electric street railways in Victoria in 1890, meant that the city was growing; Beaven entered the municipal arena and in January 1892 won the mayoralty. Aided perhaps by his status as the city’s senior mla and leader of the opposition, he won again in 1893. During his terms he had to deal not only with the effect of rapid growth upon municipal finances and city services, but with a smallpox outbreak as well. Notwithstanding his efforts on these fronts, the general downturn of 1893 appears to have created dissatisfaction with his leadership, and in 1894 he was soundly defeated for the mayoralty by John Teague*. In the provincial election that year he fared no better. He had increasingly become a spokesman for what might be called working-class views, including the eight-hour day, and he had fought, unsuccessfully, to have Chinese exclusion clauses required for companies incorporated under provincial law. This association with labour may have been a factor in his loss of the seat that he had held since 1871. Beaven rebounded by regaining the mayor’s chair in 1896, the year of the collapse of the Point Ellice Bridge. 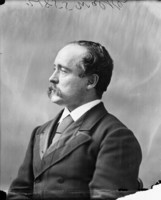 The disaster resulted in a number of lawsuits involving the civic government, but when Beaven lost the mayoralty in 1897 even the Daily Colonist, a long-standing and bitter critic, conceded that his defeat was due “more to the idea that it was time for a change than to any other cause.” When he stood in the provincial election of 1898 as an independent, he came last in the polls. 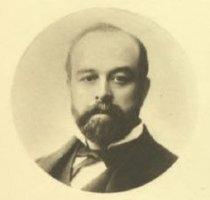 Beaven’s final appearance on the political stage took place in 1898. The unpopular railway policies of the Liberal government of Alexander Mackenzie* in Ottawa in the 1870s had delayed the adoption of federal party labels in British Columbia, because it became political suicide to identify oneself as a Liberal, and the lack of such labels had made it easier for governments to hang on to office even after what appeared to be a defeat at the polls. But when no stable majority emerged from the 1898 election, Lieutenant Governor Thomas Robert McInnes, instead of leaving the legislators to decide whether the premier retained their confidence, dismissed John Herbert Turner* and asked Beaven to form a government. That he should have called on Beaven is remarkable. 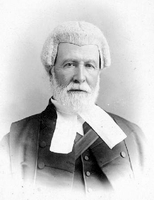 At the time it was suggested that he had stipulated that his son William Wallace Burns McInnes, a Vancouver Island mp, should be included in any cabinet that Beaven might form – an allegation Beaven denied. Whatever the reason, leaders in the house, notably Joseph Martin* of Vancouver and Charles Augustus Semlin* from the interior, would not agree to a coalition, and Beaven was unable to form a cabinet. In this sense, his gradual exit from political life paralleled the decline of Victoria in the face of the growing influence of the mainland. 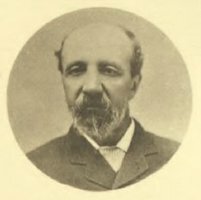 Beaven was one of the more prominent figures of the 19th-century political scene in British Columbia. He was the longest-serving member of the Legislative Assembly, returned by Victoria City for 23 years, and he was mayor of the city for three terms. As a contemporary who was not an admirer put it, he must have possessed extraordinary qualities, because he was not popular and Victoria was a notoriously fickle constituency. A cabinet minister for many years, he helped to shape British Columbia’s place in confederation and, for better and worse, its policies in a number of critical areas. He was also premier for a short time and the recognized leader of the opposition from 1883 to 1894. It is therefore hardly surprising that, when he died in 1920, the obituaries – even in the hated Daily Colonist – were laudatory. He was described as an architect of confederation, a financial expert, and a man of integrity. Yet no prominent British Columbia landmark bears his name. AO, RG 80-27-2, 86: 46. BCARS, Vert. file, Robert Beaven. B.C., Ministry of Health (Victoria), Vital statistics, death certificate, 20 Sept. 1920, no.42/B/20. NA, RG 10, 3637, file 7131. Daily Colonist (Victoria), 5 Sept. 1871; 28 July, 28 Aug. 1872; 24 May 1873; 9 May, 3, 5 Sept. 1875; 15 Jan. 1892; 13 Jan. 1893; 12 Jan. 1894; 17 Jan. 1896; 15 Jan. 1897; 19 Sept. 1920; 29 Feb. 1948. Manitoba Free Press, 12 Aug. 1898. Stewart Bates, Financial history of Canadian governments: a study prepared for the royal commission on dominion-provincial relations (mimeograph, Ottawa, 1939). B.C., British Columbia in the Canadian confederation (Victoria, 1938); Papers connected with the Indian land question, 1850–1875 (Victoria, 1875; repr. 1987); Legislative Assembly, Journals, 1872–73, 1891; Royal commission for instituting inquiries into the acquisition of Texada Island, Papers relating to the appointment & proceedings (Victoria, 1874). B.C. Executive Council appointments (Bennett and Verspoor). Electoral hist. of B.C. Robin Fisher, Contact and conflict: Indian-European relations in British Columbia, 1774–1890 (2nd ed., Vancouver, 1992). R. E. Gosnell, “The moral of the British Columbia elections,” Canadian Magazine, 3 (May–October 1894): 475–79. S. W. Jackman, Portraits of the premiers: an informal history of British Columbia (Sidney, B.C., 1969). Journals of the colonial legislatures of the colonies of Vancouver Island and British Columbia, 1851–1871, ed. J. E. Hendrickson (5v., Victoria, 1980), 5: 224–26. J. B. Kerr, Biographical dictionary of well-known British Columbians, with a historical sketch (Vancouver, 1890). D. P. Marshall, “Mapping the political world of British Columbia, 1871–1883” (ma thesis, Univ. of Victoria, 1991). Scholefield and Howay, British Columbia. Paul Tennant, Aboriginal peoples and politics: the Indian land question in British Columbia, 1849–1989 (Vancouver, 1990). H. Keith Ralston and Hamar Foster, “BEAVEN, ROBERT,” in Dictionary of Canadian Biography, vol. 14, University of Toronto/Université Laval, 2003–, accessed April 24, 2019, http://www.biographi.ca/en/bio/beaven_robert_14E.html.